Looks like Answer just got Answered (Cheesy I know). 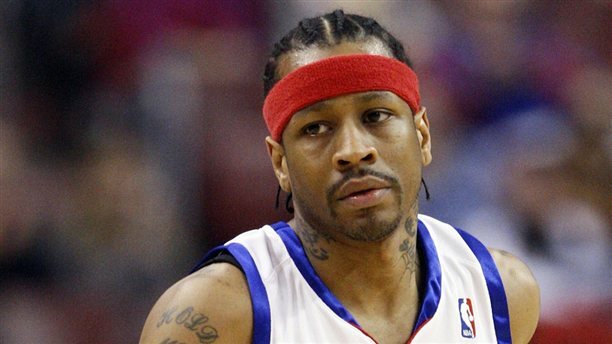 It has been set in stone by a judge in Georgia for Allen Iverson Paychecks to be garnished until his Jeweler is paid off..The reason it is so much now is because he (A.I) chose to ignore the first lawsuit for $375,000..So since he did that the judge issued a default judgement of $859,896.46 for the bling, court costs, interest and attorneys fees.. But once again Iverson ignored them so now the jeweler will get the money owed to them straight from Iverson Bank account.. *Pauses for double face palm* That gotta be crazy to go from every-bodies favorite Baller to having ya checks cut for some ice.. SMH i even had to post this (Fan Moment) But he brought this one on himself by ignoring them for so long..